Best Management Practices are based on the most extensive study of animal traps ever conducted in the United States. Test traps were selected based on knowledge of commonly used traps, previous research findings, and input from expert trappers. Statisticians from universities and federal and state agencies developed rigorous study designs. Experienced wildlife biologists and trappers developed study procedures, supervised or participated in field research and provided insight and expert technical advice on trapping methods to ensure the completion of each project. Data collection, including safety evaluations, was undertaken following widely accepted international standards for testing traps specified in the International Organization for Standardization (ISO) Documents 10990-4 and10990-5.Wildlife biologists and statisticians assisted in data analysis and interpretation dur the ing development of this document. Although many details of trap testing procedures and results are available in other documents, some understanding of the procedures is important and are explained in this document. 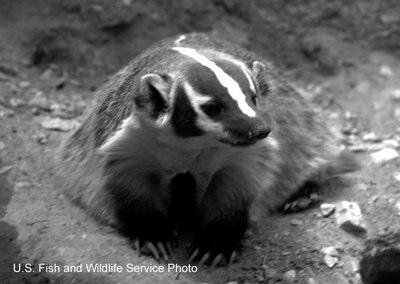 The suggestions contained in this BMP include practices, equipment, and techniques that american badger trappers can voluntarily incorporate into their trapline, when trapping in the United States. These practices will improve the welfare of trapped animals, avoid unintended captures of other animals, improve public confidence in trappers and wildlife managers, and maintain public support for trapping and wildlife management. 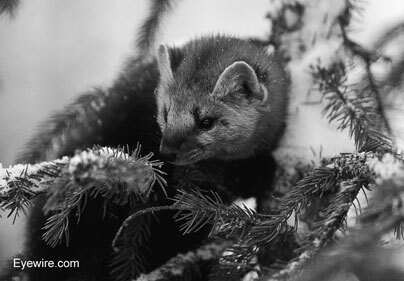 The suggestions contained in this BMP include practices, equipment, and techniques that american marten trappers can voluntarily incorporate into their trapline, when trapping in the United States. These practices will improve the welfare of trapped animals, avoid unintended captures of other animals, improve public confidence in trappers and wildlife managers, and maintain public support for trapping and wildlife management. 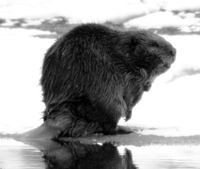 The suggestions contained in this BMP include practices, equipment, and techniques that beaver trappers can voluntarily incorporate into their trapline, when trapping in the United States. These practices will improve the welfare of trapped animals, avoid unintended captures of other animals, improve public confidence in trappers and wildlife managers, and maintain public support for trapping and wildlife management. 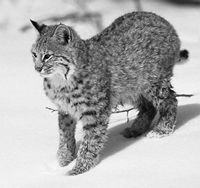 Best Management Practices: Trapping Bobcat in the United States The suggestions contained in this BMP include practices, equipment, and techniques that bobcat trappers can voluntarily incorporate into their trapline, when trapping in the United States. These practices will improve the welfare of trapped animals, avoid unintended captures of other animals, improve public confidence in trappers and wildlife managers, and maintain public support for trapping and wildlife management. 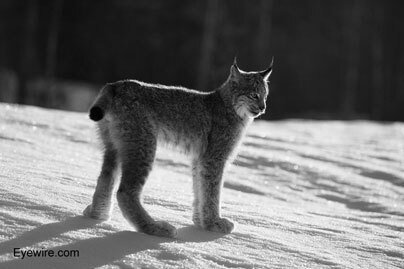 Best Management Practices: Trapping Canada Lynx in the United States The suggestions contained in this BMP include practices, equipment, and techniques that Canada lynx trappers can voluntarily incorporate into their trapline, when trapping in the United States. These practices will improve the welfare of trapped animals, avoid unintended captures of other animals, improve public confidence in trappers and wildlife managers, and maintain public support for trapping and wildlife management. Best Management Practices: Trapping Coyotes in the Eastern United States The suggestions contained in this BMP include practices, equipment, and techniques that coyote trappers can voluntarily incorporate into their trapline, when trapping in the Eastern United States. These practices will improve the welfare of trapped animals, avoid unintended captures of other animals, improve public confidence in trappers and wildlife managers, and maintain public support for trapping and wildlife management. Best Management Practices: Trapping Coyotes in the Western United States The suggestions contained in this BMP include practices, equipment, and techniques that coyote trappers can voluntarily incorporate into their trapline, when trapping in the Western United States. These practices will improve the welfare of trapped animals, avoid unintended captures of other animals, improve public confidence in trappers and wildlife managers, and maintain public support for trapping and wildlife management. 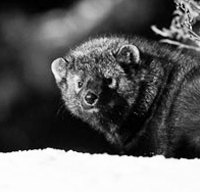 Best Management Practices: Trapping Fisher in the United States The suggestions contained in this BMP include practices, equipment, and techniques that fisher trappers can voluntarily incorporate into their trapline, when trapping in the United States. These practices will improve the welfare of trapped animals, avoid unintended captures of other animals, improve public confidence in trappers and wildlife managers, and maintain public support for trapping and wildlife management. 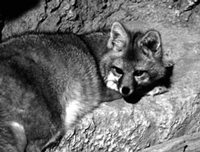 Best Management Practices: Trapping Gray Fox in the United States The suggestions contained in this BMP include practices, equipment, and techniques that gray fox trappers can voluntarily incorporate into their trapline, when trapping in the United States. These practices will improve the welfare of trapped animals, avoid unintended captures of other animals, improve public confidence in trappers and wildlife managers, and maintain public support for trapping and wildlife management. 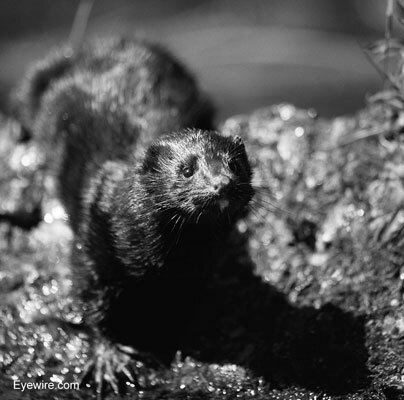 Best Management Practices: Trapping Mink in the United States The suggestions contained in this BMP include practices, equipment, and techniques that mink trappers can voluntarily incorporate into their trapline, when trapping in the United States. These practices will improve the welfare of trapped animals, avoid unintended captures of other animals, improve public confidence in trappers and wildlife managers, and maintain public support for trapping and wildlife management. 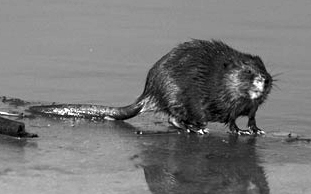 Best Management Practices: Trapping Muskrat in the United States The suggestions contained in this BMP include practices, equipment, and techniques that muskrat trappers can voluntarily incorporate into their trapline, when trapping in the United States. These practices will improve the welfare of trapped animals, avoid unintended captures of other animals, improve public confidence in trappers and wildlife managers, and maintain public support for trapping and wildlife management. 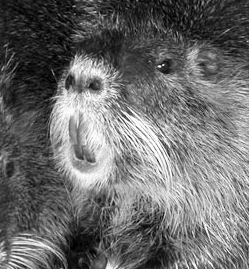 Best Management Practices: Trapping Nutria in the United States The suggestions contained in this BMP include practices, equipment, and techniques that nutria trappers can voluntarily incorporate into their trapline, when trapping in the United States. These practices will improve the welfare of trapped animals, avoid unintended captures of other animals, improve public confidence in trappers and wildlife managers, and maintain public support for trapping and wildlife management. Best Management Practices: Trapping Opossum in the United States The suggestions contained in this BMP include practices, equipment, and techniques that Opossum trappers can voluntarily incorporate into their trapline, when trapping in the United States. These practices will improve the welfare of trapped animals, avoid unintended captures of other animals, improve public confidence in trappers and wildlife managers, and maintain public support for trapping and wildlife management. 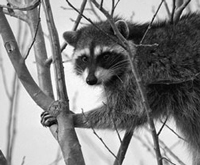 Best Management Practices: Trapping Raccoons in the United States The suggestions contained in this BMP include practices, equipment, and techniques that raccoon trappers can voluntarily incorporate into their trapline. These practices will improve the welfare of trapped animals, avoid unintended captures of other animals, improve public confidence in trappers and wildlife managers, and maintain public support for trapping and wildlife management. 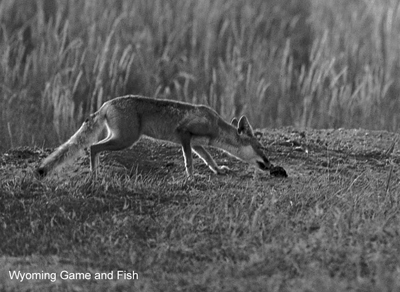 Best Management Practices: Trapping Red Foxes in the United States The suggestions contained in this BMP include practices, equipment, and techniques that red fox trappers can voluntarily incorporate into their trapline. These practices will improve the welfare of trapped animals, avoid unintended captures of other animals, improve public confidence in trappers and wildlife managers, and maintain public support for trapping and wildlife management. Best Management Practices: Trapping River Otter in the United States The suggestions contained in this BMP include practices, equipment, and techniques that river otter trappers can voluntarily incorporate into their trapline, when trapping in the United States. These practices will improve the welfare of trapped animals, avoid unintended captures of other animals, improve public confidence in trappers and wildlife managers, and maintain public support for trapping and wildlife management. 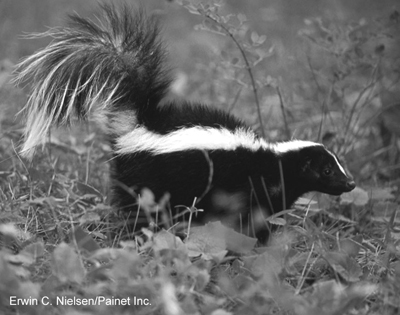 Best Management Practices: Trapping Striped Skunk in the United States The suggestions contained in this BMP include practices, equipment, and techniques that striped skunk trappers can voluntarily incorporate into their trapline, when trapping in the United States. These practices will improve the welfare of trapped animals, avoid unintended captures of other animals, improve public confidence in trappers and wildlife managers, and maintain public support for trapping and wildlife management. 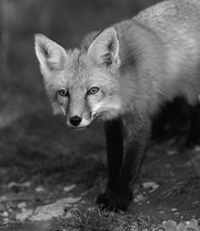 Best Management Practices: Trapping Swift/Kit Fox in the United States The suggestions contained in this BMP include practices, equipment, and techniques that swift/kit fox trappers can voluntarily incorporate into their trapline, when trapping in the United States. These practices will improve the welfare of trapped animals, avoid unintended captures of other animals, improve public confidence in trappers and wildlife managers, and maintain public support for trapping and wildlife management. 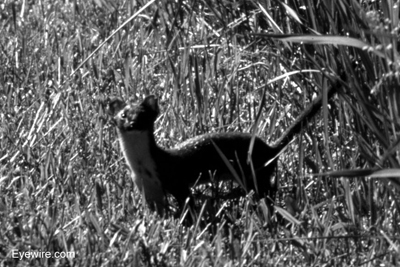 Best Management Practices: Trapping Weasel in the United States The suggestions contained in this BMP include practices, equipment, and techniques that weasel trappers can voluntarily incorporate into their trapline, when trapping in the United States. These practices will improve the welfare of trapped animals, avoid unintended captures of other animals, improve public confidence in trappers and wildlife managers, and maintain public support for trapping and wildlife management.